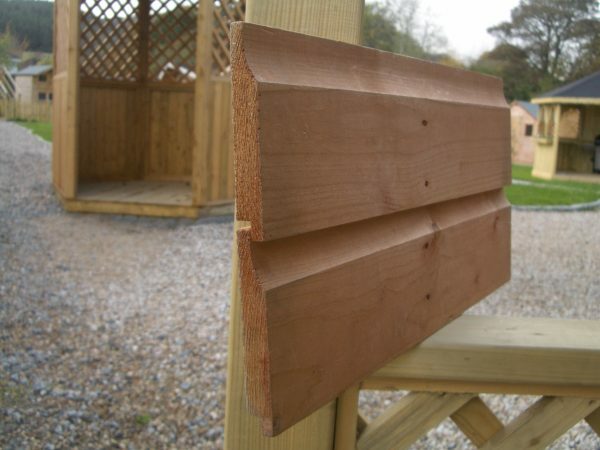 Delux Timber finish is 125mm x 22mm tongue and grooved planed timber. 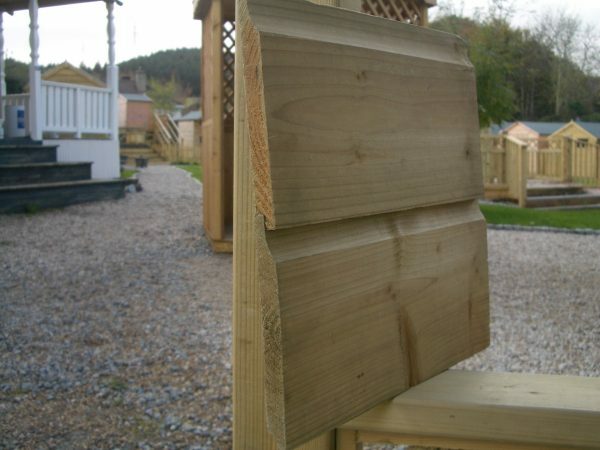 This timber is dip treated and would need regular treating every 18 – 20 months to ensure a long lasting life. 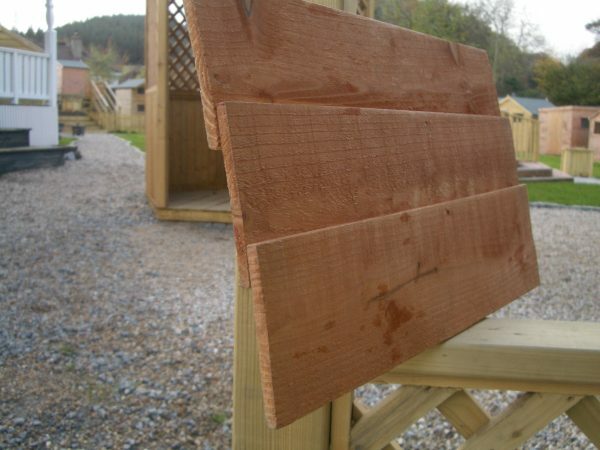 Delux Pressure Treated Timber is 150mm x 22mm tongue and grooved planed timber which has been impregnated with a preservative which means the timber would not require treatment. The Delux Pressure Treated sheds would also include a blue moisture barrier lining inside. 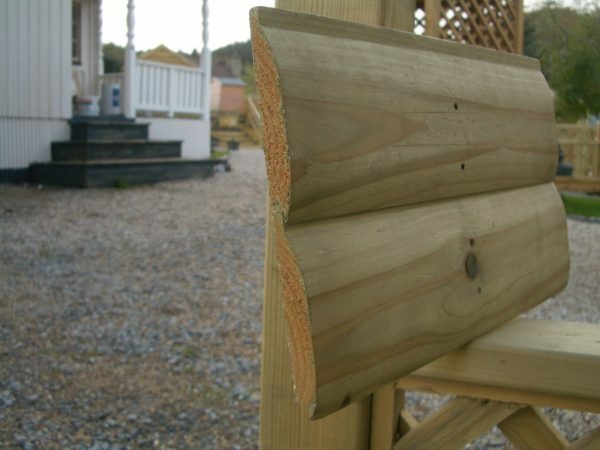 Barrelboard Timber finish is 125mm x 22mm pressure treated timber with a tongue and grooved rounded “log” effect timber.The Barrelboard sheds would also include a blue moisture barrier lining inside.